Dhaka has expressed frustration at the lack of movement in repatriation to Myanmar and raised the issue several times with New Delhi. New Delhi: At a time when the Rakhine State clashes have led to another wave of refugees crossing the border, Bangladesh’s new foreign minister A.K. Abdul Momen has once again asked India’s support for starting the long-delayed repatriation of Rohingya refugees. Momen is on his first trip to India after his appointment as foreign minister following the re-election of Sheikh Hasina as the prime minister in December. He also co-chaired the Joint Consultative Commission on the first full day of his visit with Indian external affairs minister Sushma Swaraj. According to the Bangladesh government, Momen raised the Rohingya issue during his call with the Indian prime minister on Thursday (February 7) afternoon. “While thanking Prime Minister Modi for India’s humanitarian assistance to Rohingyas, Bangladesh foreign minister requested India’s support for early repatriation of the Rohingyas to the Rakhine State of Myanmar,” said a statement issued by the Bangladesh High Commission. Also watch: What Role Can India Play to Resolve the Rohingya Humanitarian Crisis? Narendra Modi, as per the statement, “reiterated that India is always with Bangladesh and assured of India’s cooperation in this regard”. According to the Indian government’s press communique, Modi only said the bilateral relations have been on an upward trajectory in the last few years and the country was committed to building on this momentum during the new term of Bangladesh prime minister. The Indian read-out of the meeting between Modi and the visiting foreign minister, however, carried no mention that the Rohingya issue was discussed. 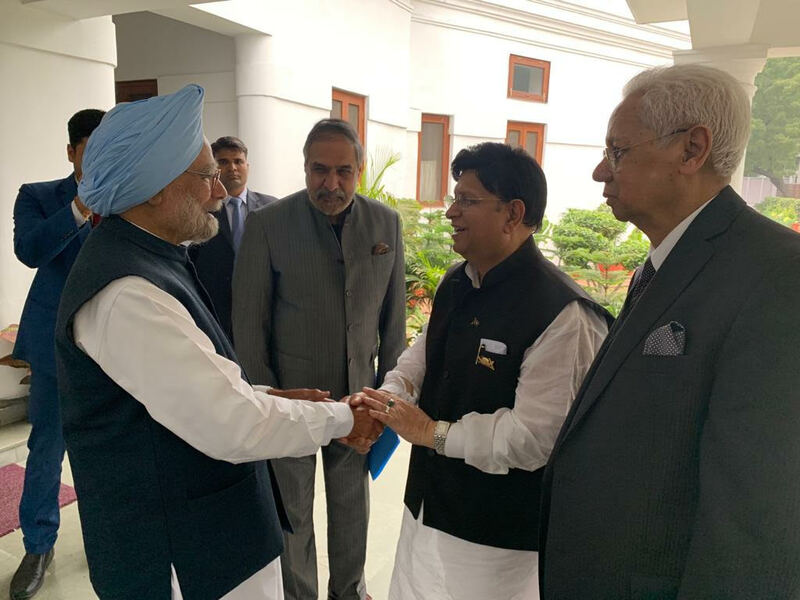 The importance of the issue was made clear with the Bangladesh foreign minister separately bringing up the topic with the former prime minister Manmohan Singh as well. According to the Bangladesh high commission, the Congress leader noted that the “early repatriation of Rohingyas is a priority”. Singh also added that “they will be supporting the government of India in any initiative to expedite the repatriation of Rohingyas to Rakhine State”. The joint statement released after the JCC also indicated that the Rohingya issue was discussed between the two foreign ministers. “The two ministers agreed on the need to expedite safe and sustainable repatriation of the displaced people from Rakhine State of Myanmar,” he said. The current visit of the Bangladesh foreign minister takes place against a backdrop of an increasing number of refugees feeling Myanmar. Bangladesh’s Cox Bazar has been hosting over seven million Rohingya refugees since August 2017. They fled from their villages following a severe crackdown by the Myanmar security forces after Rohingya militants attacked border outposts. This was in addition to the 300,000 who were already residing in Bangladesh from previous security clampdowns in the last two decades. Over the last month, Rakhine nationalist insurgent group ‘Arakan army’ has been fighting the Myanmar army for greater autonomy of their province. In 2017, Rakhine nationalists had reportedly joined the security forces in their crackdown against Rohingyas near the border areas. Bangladesh had summoned the Myanmar ambassador in Dhaka to the foreign office on Tuesday (February 6) over the arrival of “Rakhine Buddhists and other tribal groups” following continuing clashes between Tatmadaw (Myanmar military) and Arakan Army. Myanmar news magazine Irrawaddy had reported that several displaced families were also camping near the Indian border. India is the only contiguous neighbour to both Myanmar and Bangladesh. While New Delhi has traditionally been more concerned with Myanmar’s sensitivities on the Rohingya issue, it has taken a more ‘balanced’ position following inflamed public opinion in Bangladesh. Bangladesh prime minister had in February 2018 expressed hope that India would put pressure on Myanmar to expedite the repatriation of the refugees. Dhaka has increasingly expressed frustration at the lack of movement in repatriation to Myanmar. The last attempt to repatriate Rohingya refugees came up after no refugees volunteered to leave for Myanmar. Last December, Indian foreign secretary Vijay Gokhale had said ahead of the president’s visit to Myanmar that the “bilateral understanding” on repatriation of Rohingya refugees should be implemented “as soon as possible”. “However, as to the timing, as to the conditions, as to the law and order situation and so on that is a matter for Bangladesh and Myanmar to determine,” he added, demonstrating New Delhi’s carefully crafted middle line. The UN special rapporteur on human rights in Myanmar, Yanghee Lee said on January 26 that Rohingya refugees will not be able to return home “in the near future”. Lee had also criticised India – and Saudi Arabia – for forcibly repatriating Rohingya refugees. Several Rohingya families have fled to Bangladesh over the last few months after the deportation of seven Rohingya men by India to Myanmar.